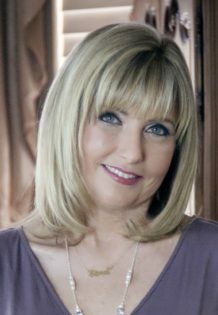 Soon after completing her graduate studies in psychology, today’s special guest, Dr. Sharon Prentice, longed to discover “the why’s” about her own intimate experience with death in the form of an SDE (Shared Death Experience), and that of others who had experienced something “weird, unbelievable, odd” at the time of the death of a loved one. Her book, Becoming Starlight: A Shared Death Journey from Darkness to Light is an emotionally powerful and spiritually gripping story of what lies “beyond” this life. The little known Shared Death Experience—a profound transcendent consciousness—afforded the author a peek into forever-ness, a lifting of the veil between this life and the next. Becoming Starlight is the true story of one woman’s tumultuous relationship with God during the soul-wrenching deaths of her daughter and husband, and her eventual redemption as her soul slipped over to another framework of existence—a realm of pure love and light—by means of a Shared Death Experience (SDE) at the moment of her husband’s death. Deeply embedded in Becoming Starlight is a life-and-death struggle with Spiritual darkness and loss of faith. It’s a story brimming with the stuff of life—tremendous love, agonizing loss, quiet rage, inconsolable sorrow, and a complete fall from Grace. At the heart of it is a war between who lives and dies, a battle that brings us face to face with our own mortality. Dr. Prentice is a Licensed Clinical Pastoral Counselor. She is also a Board Certified Spiritual Counselor (SC-C) and holds Board Certification in Cognitive Behavioral Therapy, Group Therapy, Integrated Marriage and Family Therapy, and Crisis and Abuse Therapy. Today’s special guest, Susan U. Neal, RN, MBA, MHS, is an author, speaker, and certified health and wellness coach whose background in nursing and health services led her to seek new ways to educate and coach people to overcome health challenges. She published six healthy living books including 7 Steps to Get Off Sugar and Yoga for Beginners. Her passion and mission is to inspire others to reclaim their health. Have you tried to decrease your weight and improve your health without success? Or maybe you lost weight but gained it back. Don’t allow frustration to take over. This journal will help you make and maintain healthy lifestyle changes. During the next six weeks, commit to spend a few minutes daily recording your eating choices and how your body responds. With time you will see how different foods affect you physically and emotionally. As you record and reflect in this journal, you will begin to solve your personal health puzzle. As you discover each new puzzle piece, you will learn how to make your body feel good again. 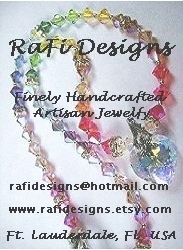 Each day you’ll record water and food intake, exercise, energy level, and corresponding moods. Through journaling you will discover more about yourself and any negative eating patterns, draw closer to God, and experience better health. Live life in all its fullness, not in a worn-out, sick body. So let’s determine the root causes and solutions for your ill health or excessive weight so you can experience a more abundant life as you: feel and look better, increase your energy, sharpen your clarity of mind, identify and eliminate unhealthy behaviors, lose weight naturally without fad diets, prepared meals, or supplement.s Reclaim the abundant life you want to experience. Your body will thank you. Contrary to what many people believe, we can recover from emotional trauma relatively quickly and completely on our own. Whether it’s extreme trauma such as sexual abuse or the horrors of war or less dramatic, but psychologically speaking just as serious, wounds involving shame and guilt, we don’t need to spend years in intensive therapy to recover. While most people know what they can do on their own to treat physical ills, like using ice on a muscle sprain, they don’t realize that they can apply certain psychological principles to treat anxiety, depression and many other conditions in the comfort of their own homes. Today’s special guest, Dr. Chris Cortman, co-author of the book Keep Pain in the Past: Getting Over Trauma, Grief and the Worst That’s Ever Happened to You, will teach you the critical 21st century skill of treating your own psychological wounds. Discover how Sheri, a 37-year-old attorney, recovered from panic attacks that seemed to come out of nowhere. Follow the journey of Mark, a 29-year-old Army veteran who experienced the horror of war in Afghanistan, as he healed from the downward spiral that had caused him to lose his job and become increasingly uncommunicative with his family. Explore how Melinda, a 42-year-old professor who struggled to sustain a romantic relationship, confronted her torturous childhood and has now found love. Keep Pain in the Past achieves what conventional therapy does not. This book will help you confront the emotional baggage of your past, reach closure by completing the event, and finally discover a life unhaunted by past trauma. Chris Cortman, PsyD has been a licensed psychologist for 28 years. He is a much-sought-after speaker, has facilitated more than 60,000 hours of psychotherapy, and has provided psychological consultation at five hospitals in the Sarasota/Venice area. Dr. Cortman is the co-creator of a youth prevention and wellness program called The Social Black Belt. Jack Canfield has so embraced the work of today’s special guest, Sandra Biskind, that after working with her and her husband Daniel. He personally he brought them in to engage with his entire staff, calling the results “truly life changing” and “magical.” International business leaders, spiritual luminaries, female icons and celebrities sing their praises… But it’s their extraordinary work as Codebreakers that is serving not only the elite, but the everyman or woman who is suffering in physical, emotional, psychological or financial pain. These international bestselling authors, speakers, trainers and healers have finally committed their full decoding process to paper in their new book CODEBREAKER: Discover the Password to Unlock the Best Version of You, and its perfect companion, The CODEBREAKER Journal. These go straight to the heart of recoding what blocks us from realizing our optimum life. They ask: “Imagine if we could eradicate the war between the ego mind’s unconscious priorities and the soul’s desire to be whole–to be the best version of who we are?” And indeed, they have done it! CODEBREAKER is an all-encompassing cipher to the hidden and locked parts that have had you entrapped. Perhaps the most transforming element they use in their training is “Neutrality,” in which Sandra is regarded globally as a Master. Neutrality erases the emotional charge that triggers you to react from previous memories and programs–freeing you from repetitive sabotaging behavior or physical pain. The Biskind’s Quantum Neutrality method creates instant detachment. And the result is often complete change in circumstance, lasting a lifetime. Have you ever fantasized about being in Napoleon Hill’s shoes as he was gathering the wisdom of the world’s leading industrialists for Think and Grow Rich — but doing it today and getting guidance that is not only ageless, but spot-on for today’s world? Today’s special guest, Douglas Vermeeren, has done just that! This internationally renowned speaker, leader, mentor and filmmaker has interviewed 400 of the world’s business and motivational leaders to glean the wisdom that creates Personal Power Mastery, the skill of leading a life of achievement and success on every level. His book is being hailed by many of the preeminent leaders of the personal growth movement as a blueprint for overcoming limitations, bad habits and beliefs so you can ascend to higher levels of mastery, accomplishment and financial attainment. The book is the companion to Vermeeren’s Personal Power Mastery seminars. His seminars are rated as number three in the world for the most powerful personal development seminars. Over the last two decades Vermeeren has conducted extensive first-hand research into the lives of the world’s top achievers. He has captured the success strategies of top business leaders from Nike, Reebok, Fruit of the Loom, FedEx, KFC, United Airlines, Microsoft, Disney, the individual transformation methodologies from an array of superstars who came to prominence in The Secret, and more. As a leader in the personal development field, Douglas Vermeeren, who lives in Calgary, Alberta Canada, has also produced and directed three of the top ten personal development movies ever filmed. He has written multiple books and continues to maintain a connection with many of the top achievers he has interviewed. If mindfulness is the gateway to the awakened life, today’s special guest Stephen Fulder’s book, What’s Beyond Mindfulness describes the garden that lies beyond: a magical, rich and fulfilled way of living that comes when we live according to Buddhist practice and principles. This book is a uniquely practical and accessible exploration of Buddhism in everyday life that will appeal to people of any faith and to those of none. It is filled with important concepts such as: happiness is found in being, not having, the impact of deep listening and sharing our suffering as a way to build bridges, using mindfulness to heal conflict, and how to make friends with your body, your heart and mind. Divided into three sections which can be read in any order, the first part of the book is about how we act and function wisely in life in the face of sickness, work, ethics, money etc. The second part deals with the pathway up the mountain and what we should take with us. These chapters include working with difficult emotions, conflict, conditioning and so forth. Whilst the third section is how things look from up there and deals with the divine, autonomy, wise social action, karma and liberation. This book will imbue your life once more with the sense of magic and mystery that you felt as a child; it will allow you to put down the burdens of anxiety, joylessness, restlessness or a judging mind and shift your experience of the world in a truly profound way. Stephen Fulder, Ph.D. is the founder and senior teacher of the Israel Insight Society, the foremost organisation in Israel teaching mindfulness and other meditative practices, and has over the last 25 years, guided thousands of people in Israel and worldwide in exploring Buddhist teachings, practices and perspectives. He is also well known for applying these methods to promoting peace in the Middle East. Fulder has also written 14 books on health-related subjects. Only in her early thirties, today’s special guest, Jane McLelland, was given everyone’s worst nightmare, a three-month death sentence, Stage-4 Cervical Cancer. The subsequent huge doses of conventional treatment would later also lead to Leukemia. Both cancers are extremely aggressive and acknowledged to be 100% fatal. As an award-winning NHS Physiotherapist with medical knowledge and a love of science, McLelland threw herself into research – and decided to create her own treatment plan unlike anything ever seen before. Eighteen years later, she is still here to tell her story, travelling the world as a motivational speaker at top cancer centres all over the world and holding a beacon of hope to others facing their own cancer diagnosis. In her new book, ‘How to Starve Cancer …without starving yourself’, McLelland details her remarkable self-directed treatment plan; a plan anyone else can follow, as it focuses on the altered metabolism, common with every cancer, no matter where or what tissue involved. Rather than being ‘alternative,’ the treatments can accompany any orthodox conventional care. In this truly ground-breaking book, Jane takes us through her remarkable, heart-breaking journey, and the medical discoveries she made on the way. Using herself as a human guinea pig, she worked out the best drugs and supplements to starve her own cancer in an easy-to-follow ‘Metro Map’. This is a a compelling story of resilience and determination in the face of impossible odds that will answer all the burning questions you face when you begin to explore complementary cancer care. Which ‘off-label’ drugs and supplements should you take? Should you try the ketogenic diet? Should you fast? Is fat safe? How much and when should you exercise? Jane explains why each patient needs a personalised approach and, importantly, how to work this out. Divorcing an abusive man can be even more dangerous than the marriage. Once the divorce process begins, the woman faces the potential for an escalation of the abuse, which may include destructive and outrageous behavior and verbal harassment, as well as violence. In this case, it’s vital for her to have a framework for how to prepare to get out, take control of her life and ensure she is taking necessary financial and legal steps. Breaking Bonds: How to Divorce an Abuser and Heal – A Survival Guide, written by today’s special guest, financial advisor and candid abuse survivor Rosemary Lombardy, provides a safe haven for women to refer to throughout the many phases of divorcing an abusive spouse. Pairing essential financial and legal information with practical self-care tools and healing techniques, through Breaking Bonds, Lombardy helps women to minimize stress and feel empowered as they deal effectively with their abuser. Today Rosemary will be discussing life-saving, life-changing topics such as: financial and legal considerations, what to pack for an escape, tips to help you escape in a hurry,strategies to minimize financial and emotional damage, and more. Rosemary Lombardy is a financial advisor with over 35 years of experience. 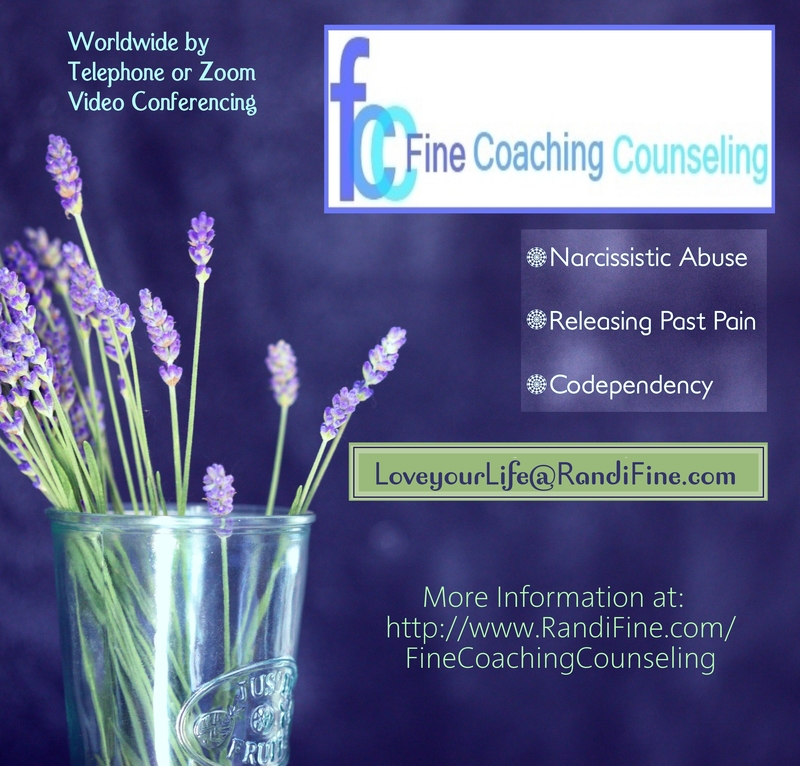 Although her professional expertise is in financial matters, her perspective on marital abuse, divorce, and recovery is deeply heartfelt and holistic. She draws on decades of personal experience, as well as the experiences of others who have gone through similar situations, to help inform abused women so that they will become empowered to leave their abusers and begin to heal. As a respected and passionate Systematic Kinesiologist, today’s special guest, Louisa Love, has helped thousands transform their lives through a myriad of powerful alternative healing techniques. In her new book, How to Be Radically Free: A Handbook for Spiritual Empowerment and Freedom, Love addresses the difference between what she refers to as false light, or spiritual denial, where the spiritual seeker jumps prematurely to the light by pushing away their own inner judgements and shame, versus true unconditional love and awakening that addresses our inner wounds, shame and pain with the consciousness of love and acceptance. Love shows us how to purify not only our physical body from toxicity, but also our emotional body from pent-up stuck emotions, our mental body from limiting and negative beliefs, past pain and trauma, and finally our spiritual bodies from negative astral attachments. The book is essentially about purification and letting go of the past, and also false masks that we’re taught to wear by society, religions and even the New Age Movement. She urges us to bring love and acceptance to what we dislike or feel fear and judgement over. Louisa Love is a trained T.A.S.K Kinesiologist, author and facilitator who also works with healing techniques like Emotional Freedom Technique, Emotional Stress Release, Matrix Reimprinting, Australian Bush Flower Remedies, Meditation and also intuitively with Breathwork. She also works with herbs and nutrition and specialises in healing the gut and emotions. Experiencing a dramatic and ungrounded Kundalini Awakening in 2013 and working with the guidance of her Higher Self and life to heal in an even deeper and more authentic way, she now assists her clients to awaken safely from the ground up. Louisa works one-to-one in private sessions and is also available for Skype sessions, workshops and also group retreats. Based in the UK in Somerset. Numbers underpin our day-to-day lives. Our birthday, anniversaries, addresses, and bank accounts—these complex series of numbers all contain codes to where we may find fortune, and where cycles of opportunity reside for us in our careers, homes, relationships, and life events. You can even use numbers to determine your soul’s purpose! Today’s special guest, master numerologist Tania Gabrielle, has written The Ultimate Guide to Numerology a guide to the inner workings of numbers will teach you how to forecast outcomes, optimize timing on projects and events, take advantage of opportunities, and avoid pitfalls. This fascinating beginner’s guide shows how to decipher your personal birth code and learn what messages the numbers in your life hold. The Ultimate Guide to Numerology reveals this captivating subject in its entirety. With this book you’ll learn the meanings of numbers 1 through 99, and from there how to: Decipher the numbers across your birth code (birthday, birth name, and astrology chart) so you can understand your Soul and Destiny Codes. Unveil your present and future Personal Years, Months and Days Leverage a future forecast map. Use numbers to understand relationship compatibility with partners, family, friends, and colleagues. Reveal the significance of your address number or numbers associated with your job or business. Tania Gabrielle is an astrologer, numerologist, and psychic. Her insights have been featured in all the top national publications. She is the creator of Numerology Academy™—the first online certification course in Astro-Numerology – which has been taught to thousands of students across 37 countries. Tania is a popular contributor and blog writer for the #1 numerology site on the web, Numerologist.com. It can be hard to maintain a positive attitude–especially today, when the news and our social media feeds seem to be saturated in negativity and tragedy. But with the book My Pocket Positivity: Anytime Exercises That Boost Optimism, Confidence, and Possibility, written by today’s special guest Courtney Ackerman, you will find the good in any moment, and maintain an upbeat attitude through the day, no matter what life throws your way. My Pocket Positivity is full of uplifting thoughts to brighten your day and inspire hope Through 140 quick and easy exercises, you will learn how to boodt and strengthen feelings of confidence, resiliency, gratitude, and serenity. What’s more, you will feel empowered to take positive action in your own life and the world around you to pay the feeling forward. Courtney has put together quick and effective exercises to help people uplift your thoughts, and face any challenge with optimism, such as “take the helicopter view,” “write in your future diary,” and “quit making uneven comparisons.” Plus, it is the perfect, pocket-size to take anywhere. Courtney E. Ackerman has lived in various places around the US, as well as spending a year in the UK as a child. These experiences spurred the development of a curiosity about people that never abated, and she indulged her interests by majoring in psychology with a focus on cognitive science and statistics. Courtney continued her love affair with learning through Claremont Graduate University in California, where she earned her master’s degree in Positive Organizational Psychology and Evaluation. Courtney is currently working as a researcher and growing her recently established freelancing business. In the current sea of mindfulness apps, meditation has become synonymous with mindfulness, but meditation alone is not a reasonable path to a more mindful life. One must also take the critical step of learning and integrating the fundamental principles of living a mindful and fulfilled life. Scientific studies have shown that we can change the wiring of our brains as it relates to the formation of habits. One of the most compelling tools in changing this wiring is the power of perspective. When we consciously change perspective through simple, repetitive and clear messaging, we can actually change the way we think and feel. There is a new app on the scene and it’s in a class of its own. Introducing the Vibe app, A Daily Voice over Your Shoulder from World Leaders in Mindfulness and Spirituality. The Vibe app fills this gap by connecting users with leading authors and thought leaders in mindfulness. App users choose their preferred “thought leader” who will provide them daily guidance in core fundamentals of mindfulness and spirituality, offering a framework upon which they can build our own inner truths. Other mindfulness apps offer support for meditation, while the Vibe app provides the building blocks to help us actually realize, connect with and deepen our spiritual, mindful selves. Today’s special guest Jim Justice, one of four founders of The Vibe App, is a consummate entrepreneur, founding his first company at the age of 20. Since then, Jim has founded numerous companies spanning consumer products and technology including Grateful Pet (now WholesalePet.com), iPIN (now owned by Intel) and TouchHealth, Inc. In 2017, along with Steve Sekhon, Jarl Forsman and Bill Gladstone, Jim founded Gratitude Publications to build and market the Vibe mobile app, which serves as daily guidance for mindfulness and a fulfilled life for those living in a busy world. Today’s special guest, Lee McCormick will introduce you to directed introspection utilizing a Medicine Wheel. Each of the four quadrants represents a different stage of growth and maturity, along with different characteristics: East (childhood/playfulness and vulnerability), South (adult/love, will, and courage), West (mature adult/wisdom, acceptance and healing) and North (elder/contemplative, visionary, transformer) — symbolizing one’s life journey. “The wheel offers guidance to all who seek to find their true self and live a life of purpose. Spending time on the wheel helps us discover our personal truth while gaining insight and wisdom about life and the world. If you’ve been traversing the wheel, you know that this Heart Reconnection journey is a journey we take over and over again. With each pass around the wheel, we gain new insights and greater awareness,” say the authors. The Heart Reconnection Guidebook, co-authored by Lee McCormick, is a book which has no specific “agenda,” but rather a context for each person’s encounter with their own truth and who they are at the core of their being. As you progress around the wheel, you are offered perspective, questions to journal, explorations, rituals and more. Whatever your struggle, you are urged through a series of new perspectives, understandings, questions, practices and meditations-that move you toward clarity, emotional freedom and self-acceptance. The goal is to refocus on the truth of what the heart reveals, leaving behind the chaos of the mind. One of the two primary authors, Lee McCormick.is founder of The Ranch Recovery Center in Tennessee and The Canyon Treatment Center in Malibu, California. He is also co-founder of Nashville’s Integrative Life Center and IOP/PHP Community Recovery program. Lee facilitates healing, recovery conferences and spiritual journeys around the world. Based on ancient Chinese wisdom such as Lao Tzu’s Tao Te Ching, Mad Monk Manifesto is part tour guide to consciousness, part recipe for personal development, part prescription for environmental salvation, and part handbook for social change. In the same way ripples move away from a stone dropped into a pond, Mad Monk Manifesto begins with our personal lives, discussing topics such as diet, exercise, meditation, and mind/body practice, and spreads to our public environment, describing ideas such as what we can do to improve the community, the government, and the world. Emerge with a new way of seeing life, a series of concrete steps to take for personal transformation, and an action plan for working in the community to provoke change. Daoist Monk Yun Rou (formerly Arthur Rosenfeld) received his academic background at Yale, Cornell, and the University of California. In 2012 he was ordained a Daoist monk at the Chun Yang (Pure Yang) Daoist Temple in Guangzhou, China, one of the first Westerners to be so honored. Yun Rou believes in the beauty and power of story and in the importance of compassion. Blending literature, biology, and medicine with an orthodox Daoist education, his writings and teachings propagate Daoist ideas and focus on environmental conservation, and political and social justice. You would think a psychologist who has done millions of dollars in binge-eating research would advocate for the self-love strategy, but after seeing it fail time and time again, Today’s special guest, Glenn Livingston, Ph.D.,realized he had to get control over his and other peoples’ “fat thinking self.” He did it by disassociating from that voice-the fat-thinking self–which gave him permission to eat whatever he wanted. You might find this weight-loss book a little bit disquieting. You’re probably used to the books that subscribe to the self-loving school of management to get control over your overeating. Never Binge Again is unapologetically NOT THAT. It is no joke. It has provided permanent relief for hundreds of thousands of binge eaters. Glenn Livingston is a formerly obese and food-obsessed psychologist (with, yes, a Ph.D), thousands of private clients and years of doing multi-millions of dollars of consulting to the food industry. But it wasn’t until he stumbled upon this system that he solved his own binging problem, his clients and the hundreds of thousands who now ascribe to his method. The Never Binge Again plan requires people to–get this-treat the ravenous voice in their heads as a Food Monster™, Voracious Dog or Pig! And he teaches you how to cage it so it never undermines whatever healthy eating plan you have set yourself on. With an irreverence that is fun and outrageous, he slyly whispers to you in the voice of your Inner Pig… revealing it’s tricky and wily ways -then gives you everything you need to cage it. Today we are excited to welcome Nanci L. Danison, Esq. back for the second time on A Fine Time for Healing. Until 1994 Nanci lived the life of a successful trial lawyer with a national health law practice in a large Midwestern law firm. Then, she died during an invasive radiological procedure before surgery, plunging her farther into the afterlife than previously thought survivable. Nanci is the author of several books, including her latest, Create A New Reality: Move Beyond Law of Attraction Therory, which she discussed on A Fine Time for Healing on January 25, 2019. Create a New Reality introduces you to the incredible spiritual power of manifesting that we souls possess, and leads you step-by-step through how to create more opportunities to better your life, to replace old beliefs that hold you back from creating a happier life, and to heal yourself of physical and emotional wounds. 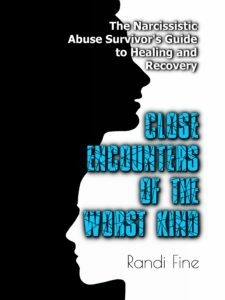 Since that show, just one month ago, Nanci has made a stunning connecton between the profound knowledge gained in the afterlife and what she learned while reading Randi Fine’s book Close Encounters of the Worst Kind: The Narcissistic Abuse Survivor’s Guide to Healing and Recovery. She was given a huge amount of information in the afterlife about innate human animal nature vs. our own spiritual nature. Everything described in Close Encounters as narcissistic behavior was explained to her as normal human animal behavior. She was told that all human hosts behave like that until they are domesticated through parental and social training. Be sure to tune in and listen to an intriguing discussion on that fascinating concept. Returning for the first time in nearly thirty years, The Power Deck, the classic oracular desktop card deck, is being released once again to the delight of today’s special guest Lynn V. Andrews’fans. Featuring forty-five beautifully illustrated cards and its accompanying book of affirmations and meditations, The Power Deck represents the wisdom of the Universe as it has been revealed through the Sisterhood of the Shields, a private and anonymous gathering of high-degree shaman women from native cultures around the world. Lynn says, “The Power Deck helps you find the primal source of your pain, or limitation, so that it can be healed. When you look at it, you will stop for a moment to move into that silent place within you, that place where truth is born. Each card promotes beauty, health, strength, and wisdom in you life.” She goes on to say that “we are as in need of a relationsip with the universe, with each other, and with the spirit as we always have been. The Power Deck opens this connection, inspiring and creating an awareness of the shared sacred beauty within all that exists. Author Lynn V. Andrews has studied with shamanic women on four continents for more than 30 years. She shares her ancient teachings in her more than 20 books. Her most recent work, The Sacred Vision Oracle Deck is a bold oracular system, helping the user to define their presence in the world and, in combination with The Power Deck, creates a bridge between the sacred and everyday life. Are you doing what you love, yet worried about money? Do you feel torn between following your heart and making a living? Like many of us, today’s guest, author Jennifer Noel Taylor was spiritual and broke, until she had a shocking “Aha!” moment in the back of a police car.Her tragedy was a cataclysmic lesson that completely changed her perspective on the “law of attraction”. Her book, Spiritual and Broke, is a practical guide for entrepreneurs, writers, artists, healers, and anyone who wants to follow their heart – without feeling like a martyr for the cause. This book shows you how to create genuine prosperity, while honoring your true calling in life. Jennifer Noel Taylor is an energy healing practitioner, self-help motivator, and the CEO of Quantum-Touch, Inc. She has dedicated her life work to helping people discover the healing power of their love. Jennifer graduated from Cal Poly (San Luis Obispo, CA) with a Bachelor of Science Degree in Computer Science and a Minor in Philosophy. After graduation, she started her first job as a Software Engineer at a big company in San Diego. Like so many people, she felt incredibly trapped and depressed at a job that paid the bills but didn’t align with her true passion in life. She innately knew that she had a purpose and felt keenly aware that she was not following her true calling in life. To cope with the social isolation and depression she felt at work, she studied bodywork and alternative healing. She attended the International Professional School of Bodywork, Esalen Institute in Big Sur, and the Maui Academy of Healing Arts. While working on people, she started to feel the “energy fields” emanating from people. She became fascinated by energy healing and studied various energy healing modalities, including Reiki. When we lose someone, everything changes. The experience is a milestone that can bring everything to a standstill for a time. To move forward, we need the tools that help guide us ahead and lend support through our ups and downs. The only guarantee in life is that it doesn’t go on forever. For those left behind after a loved one dies, the loss can be overwhelming. But the process of recovering is often misunderstood and misrepresented. We never “get over it” — and we shouldn’t. Whether or not we can free ourselves from the weight of grief or even just muster the energy to take care of things often depends on our capacity to find the resources we need — both internal and external — to help us cope, develop resilience, grow, and even thrive. Today’s specail guest, sychologist, grief expert and widow Sherry Cormier explains why no one should expect a grieving person to “get over it and move on.” She offers the 8 most effective tools for healing — and she knows firsthand that they work. Sherry Cormier, Ph.D. is a psychologist, consultant and public speaker. Formerly on the faculty at the University of Tennessee and West Virginia University, she is the author of Counseling Strategies and Interventions for Professional Helpers, and coauthor of Interviewing and Change Strategies for Helpers. Today we will be discussing her new book, Sweet Sorrow: Finding Enduring Wholeness After Loss and Grief. Today’s special guest, Jessica Baker, LAc, RH (AHG), Chief Visionary Officer of Baker Botanica, licensed acupuncturist, and registered herbalist, has published her memoir and guidebook “Plant Songs: Reflections on Herbal Medicine.” She wrote this book to share how plants have played an important role in every stage of her life from childhood to the present, and to help you deepen their connection to nature and medicinal plants.Through Jessica’s personal stories, and clinical observations, healing properties and recipes for herbs such as pine, reishi, and oak, readers will gain an understanding of how they can benefit from herbal medicine. Plant Songs provides readers with the tools needed to incorporate herbal medicine practices into their wellness routines. Nature heals and communicates if we slow down and listen. “The potential for longevity, health, and happiness increases when there is a connection to the cycles of nature.” Jessica Baker is an author, herbalist, acupuncturist, aromatherapist, and educator. She began studying herbal medicine in 1998 at the Dandelion Herbal Center. Jessica received her Master’s Degree of Traditional Chinese Medicine in 2008 from Five Branches University and is a licensed acupuncturist in California and Colorado. Her passion for all plants is reflected in her custom formulations and classes on aromatherapy, herbalism, and Chinese medicine. Having many years as a clinician, Jessica is a master formulator, understanding the importance of plant synergy and energetics. Her work with plant medicine has led to many great conversations and opportunities within the herbal and cannabis industries. Jessica has a private practice in Denver, CO and is also available for long distance herbal consultations. To learn more, please visit www.BakerBotanica.com. You have the spiritual power to literally create the physical world events your body experiences. But most of us either allow our human bodies to act out innate animal instincts and drives, or we unconsciously manifest into our lives the old, erroneous, and harmful beliefs we have carried around as baggage since birth. You can change that. Learn why you have the amazing ability to literally change the physical world you experience, as it was explained to the author by God/Source during an extensive visit to the afterlife. It is all here. And it is far more powerful than anything you may have read about law of attraction theories. Is it really possible to free your heart and mind of the emotional wounds of the past? Are anger, pain, and suffering blocking you from the love and happiness your desire? Whatever the cause of your heartbreak, it is never too early or too late to courageously forgive and let go. In Heart Healing, today’s special guest, author Susyn Reeve, expertly guides you to put compassion and unconditional love into action in practical, easy, and lasting ways. With the insight of someone who has walked the road from heartbreak to forgiveness to living a life she loves, Susyn invites you to heal the emotional wounds in your life. Full of wisdom gained from decades of study with Joseph Campbell, Jean Houston, Robert Fritz, don Miguel Ruiz and her thousands of clients and students, Susyn’s book is a refreshingly honest and practical guide to living a life of contentment, connection, and long-overdue love. This book is brimming with stories, proven exercises, and powerful affirmations to free you from any resentment and anger you are holding towards yourself or others. Susyn does not gloss over life’s pain and struggles. She shows how to use them as springboards to new open-hearted perspectives and possibilities, so you can readily feast on the magnificent gift of life. Breakups can be one of the most painful and difficult experiences as humans. When we end a relationship (especially when we are the ones who were abandoned) our most deep insecurities arise, we question ourselves, our self-worth, our femininity or masculinity. How difficult it becomes to get past this experience depends on our previous experiences with relationships (since the day we are born) and the past losses in our lives. It is a moment where we are emotionally open; our heart is open because we are feeling such raw feeling. A break-up is a perfect time to look at ourselves, to reflect on the type of relationships we establish, to recognize how re-relate to our feelings and ourselves and allows us the opportunity to grow. Sometimes it takes us to hit rock bottom to start working on ourselves… we might have always known that we have certain insecurities, but we don’t do anything about it. We become comfortable with what we have always known; we become comfortable relating to ourselves and others as we have always done so, even if this is dysfunctional. So, embrace a break up and take this time as an opportunity to heal from your past wounds, learn about yourself and grow. Today’s special guest, Dr. Carolina Castaños, Ph.D. is an award-winning Relationship and Marriage and Family Therapist with 20 years of experience who is shifting the way we think about love and relationships by bringing our focus back to the self. She is helping men and women overcome their past trauma in order to heal triggers and toxic patterns in relationships, and most importantly, lead happier, more fulfilling lives. A health transformation requires more than following “before” and “after” stories. It requires a step-by-step process that focuses on what happens in-between. Knowing how to start and create sustainable results is the key to seeing success in personal change. Today’s special guest, Marissa Costonis, is the health change guru. She is owner of Change Bites, LLC and a Certified Health Coach by Institute for Integrative Nutrition who helps people make easy changes in their eating habits one bite at a time, whether food is the culprit or the cure. She spent over a decade in change management consulting leading a variety of change initiatives around the world. When she developed neuropathy and several health problems began to pile up, Costonis was forced to completely change her diet. Overwhelmed and confused, she began to apply all the leading change models and frameworks to simplify her own health transformation with great success. The “5 Bites to Health” process was born. Today Costonis conducts individual and group coaching programs, workshops and enjoys guest-speaking engagements to share her unique approach and support others in their journey to health. Marissa’s book, Change Bites is the only book that provides readers with a step-by-step guide for how to change eating habits and health regardless of eating style, including vegan, paleo, gluten-free, and keto diets. This process exposes the pitfalls and challenges of a food change no matter how big or small. This unique methodology is the only one to implement proven change management best practices and tools used successfully with Fortune 500 organizations—which Costonis draws upon from her decade of experience leading global large-scale transformation projects for a management consulting practice. After being diagnosed with cancer just a few months after her sister, who lived 6,000 miles away, was also diagnosed, today’s special guest Klazina Dobbe set out to find possible connections between their DNA and the DNA of their ancestors. Her new book, “Visitors Along My Cancer Journey: Emotional Release of Generational Wounds,” explores the connection of shared DNA carried through generations in a family and shows it is possible to release ancestral wounds. During several visits from her Grandmother in her dreams, Klazina began learning the stories of her ancestors, opening her eyes to the deep level of wounds being passed on through each generation. During dreamtime visits, Klazina’s ancestral women share their stories and through guided meditation release the wounds which have been shared in the memory cells of the DNA shared from generation to generation. “We need to release these old, outdated and false beliefs and emotions which are often not ours to begin with,” the author said. “Humanity stands on the threshold of a new era of discovering who we are.” Readers looking to heal emotional, mental, and spiritual parts of their lives and readers living with illness or disease will deeply resonate with Klazina and her ancestors, and find comfort in the opportunity to truly heal. Klazina is certified in hypnotherapy, reiki healing and NLP, and has taught spiritual awakening classes for the past decade. She is very passionate about healing and is eager to share her journey with cancer patients and spiritual seekers alike. Knowing at the age of four he wanted to be a doctor and help people, Dr. C. Norman Shealy finished school early and entered medical school at Duke University at the age of 19. During his neurosurgical training, he realized there was an inadequacy in modern medicine for managing pain and after three years of research intuitively developed spinal cord stimulation and transcutaneous electrical nerve stimulation. Aided in these discoveries by spiritual encounters, Dr. Shealy continued on a 46-year journey of mystical experiences and scientific breakthroughs.“Conversations with G: A Physician’s Encounter with Heaven” chronicles today’s special guest Dr. Shealy’s life changing moments including the spiritual leaders and angelic guides he met along the way who helped inspire him as he discovered groundbreaking holistic approaches to healing. One of these leaders includes his longtime friend, medical intuitive and mystic, Caroline Myss, who co-wrote two books with him as well as the foreword for “Conversations with G”. C. Norman Shealy, M.D., Ph.D., D. Sc., FACS, DABNS, is Founder and President of the International Institute of Holistic Medicine, President of Shealy Wellness, LLC and Holos Energy Medicine Education. He is editor of the Journal of Comprehensive Integrative Medicine and founding President of the American Holistic Medical Association in 1978 where his goal was to integrate spirituality into medicine. He has numerous patents in Energy Medicine and is a bestselling author having published 35 books and over 350 articles.